Diabetes is a silent killer that steals your life away, slowly! Diabetes, a lifestyle disorder can strike you without any warning and if left untreated can take a toll on your life. Though diabetes is on the rise, studies validate that one can prevent, control or even reverse diabetes by incorporating healthy lifestyle changes. The secret to managing diabetes doesn't come as a magic potion. Simple lifestyle changes will do the trick! If you are diagnosed with diabetes do not feel petrified and think that your life is over.Living a healthy lifestyle is the best arsenal that you have to fight diabetes. Simple lifestyle modifications is indeed a safe, effective and natural approach to treating diabetes.Making changes to your lifestyle not only prevents complications but also ensures you live your best life. Hence, it is absolutely risk-free. You can live a long healthy life with diabetes. Diabetes is not a death sentence, but a wake-up call telling you to start doing things differently in your life. The sooner you take action the sooner you will be on the road to living a happier, healthier life. Being diagnosed with Diabetes mellitus can be a rude shock and put you into a bit of tailspin. However, diabetes is not nearly as dire as it may sound. Remember, people with diabetes are ordinary people living with an extraordinary condition. Incorporating simple lifestyle changes ensure that you can manage diabetes without much strife. If you are living with diabetes empower and inspire you with the information you want and the tips and tools you need to make wellness your way of life! 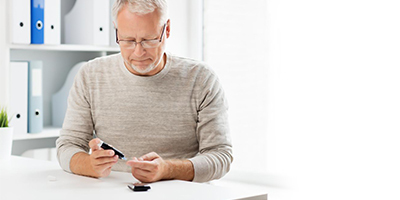 S10 Health offers a simple and effective approach to understanding diabetes and the lifestyle changes that can truly make a difference in your overall well-being. Live well with diabetes - Life with diabetes should be full and satisfying indeed!